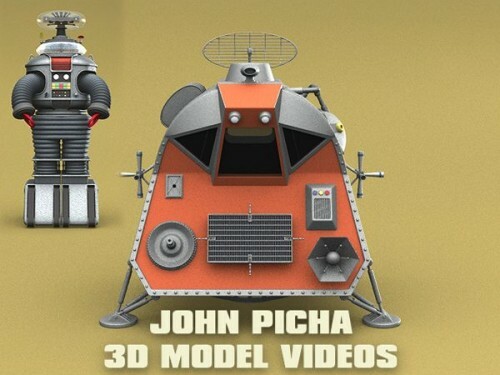 John Picha has created some amazing 3D models of the Lost in Space Robot and Space Pod. You can view images of these models in the Irwin Allen Gallery John Picha Showcase and watch the videos in the IANN Lost in Space Media Section. Posted on Tuesday, 10th August 2010 at 10:34 pm	in B9 Robot, Creativity, Lost in Space, Space Pod.